This 124 page report provides a suite of measures of the overarching, regional issues that cut across our geopolitical boundaries of southwestern Pennsylvania. 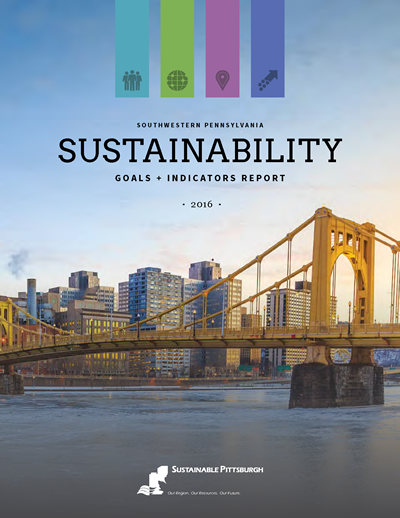 The 29 sustainability indicators detailed in this report were selected during an extensive public engagement process. Overall, the indicators show a region that has one foot squarely planted in a new and promising economy that is clean, equitable, renewable, healthy and based on sustainable business and community practice. A region forged in steel turns toward a sustainable future.